Everywhere you turn, the world is filled with people snapping photos, whether it’s through the use of disposable cameras, point & shoots, digital SLRs, or even on mobile devices (yes, even tablets too). And accompanying each of these variations is a batch of software designed to help enhance the photography experience. Taylor Davidson, Director of kbs+ Ventures, an early-stage investment arm of advertising agency kbs, felt it was time for someone to put the entire landscape down into one graphic. 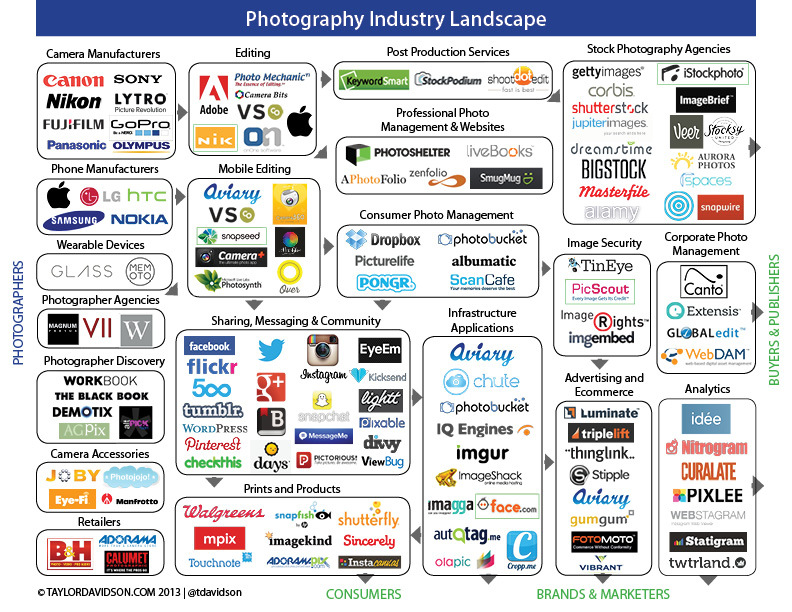 Borrowing the design of a LUMAscape, the popular graphics of various industry landscapes created by LUMA Partners, Davidson mapped the photography industry looking at the ecosystem from the perspective of photographers, consumers, brands, buyers & publishers. In crafting this graphic, Davidson tells us that his goal was to help highlight the areas where innovation is happening and where it’s going. The graphic is meant to be a starting point for not only entrepreneurs, but also investors and analysts to understand where dollars can be invested. Looking at the photography landscape, you can start out anywhere and understand the supporting industries that are emerging. 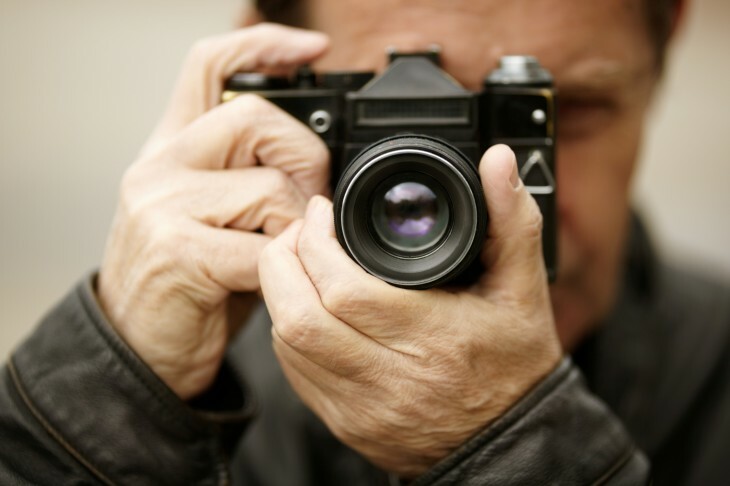 So from camera manufacturers, editing services spawned from that, which resulted in post production services like StockPodium and ShootDotEdit, which begat stock photo agencies like Getty Images, Corbis, iStockPhoto, and others. The process is a rather lengthy one, but you get the idea. In each segment, Davidson makes sure to note as many companies in that space. However, it’s not meant to be a comprehensive list and some companies fall into multiple categories, like Aviary. Perhaps what’s most noteworthy is the inclusion of wearable devices like Google Glass and Memento, considering those two services are fairly new to the industry. The photography landscape has a bit of a personal tie to Davidson. He is an accomplished photographer in his spare time and has captured images of events, like at South by Southwest, and individuals like former President Bill Clinton, Jack Dorsey, and many others.